The CeTech Gas Diffusion Layer (GDL) is specially developed as a carbon fiber paper for PEMFC and DMFC fuel cell applications. CeTech GDL has consistently maintained a good performance in fuel cell efficiency tests. This 2nd generation of carbon substrate has been well developed, and the new substrate is presented with better performance and properties. CeTech GDS090 is a carbon paper without a Microporous Layer (MPL). It has a total thickness of 90..
CeTech GDS210 is a carbon paper without a Microporous Layer (MPL). It has a total thickness of 21..
CeTech GDS230 is a carbon paper without a Microporous Layer (MPL). It has a total thickness of 23..
CeTech GDS310 is a carbon paper without a Microporous Layer (MPL). It has a total thickness of 31..
CeTech N0S1005 is a carbon paper without a Microporous Layer (MPL). It has a total thickness of 1..
CeTech GDL240 is a carbon paper with a Microporous Layer (MPL). 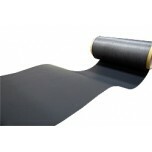 It has a total thickness of 240 u..
CeTech GDL260 is a carbon paper with a Microporous Layer (MPL). It has a total thickness of 260 u..
CeTech GDL340 is a carbon paper with a Microporous Layer (MPL). It has a total thickness of 340 u..
CeTech N1S1007 is a carbon paper with a Microporous Layer (MPL). It has a total thickness of 210 ..
CeTech GDL120 is a carbon paper with a Microporous Layer (MPL). It has a total thickness of 120 u..